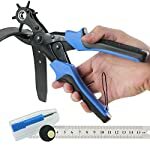 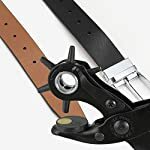 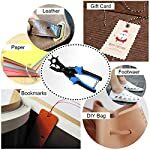 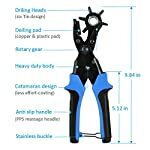 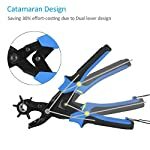 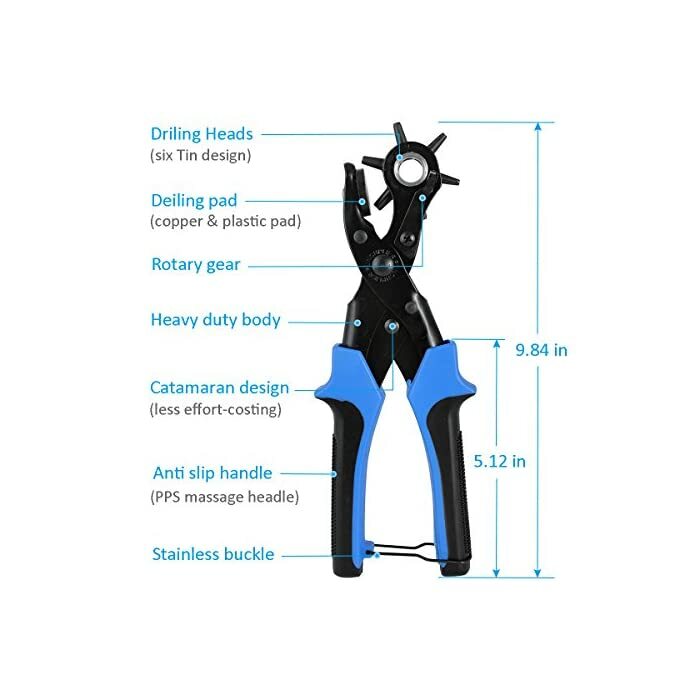 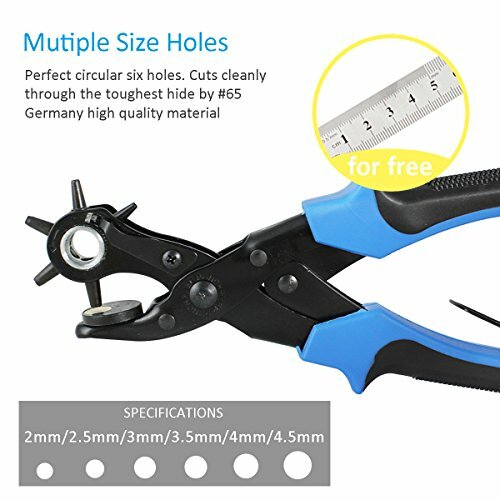 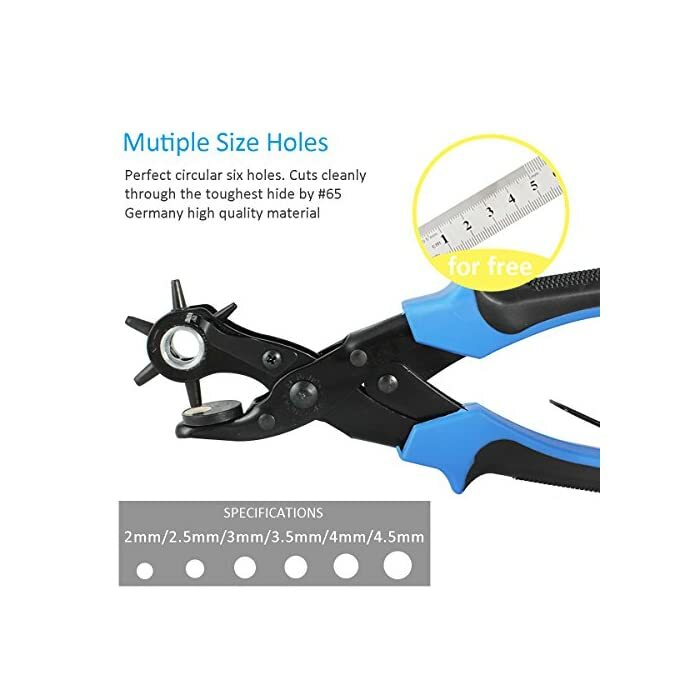 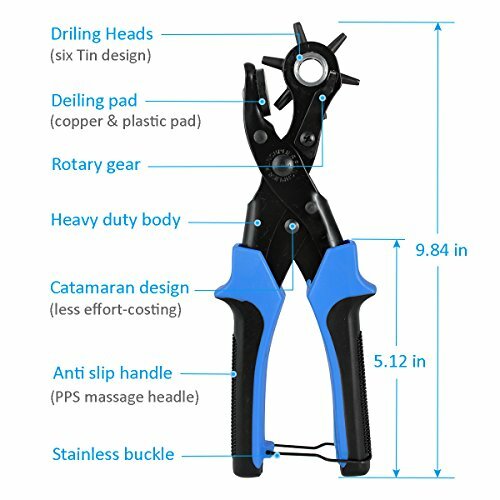 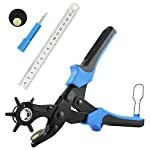 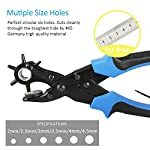 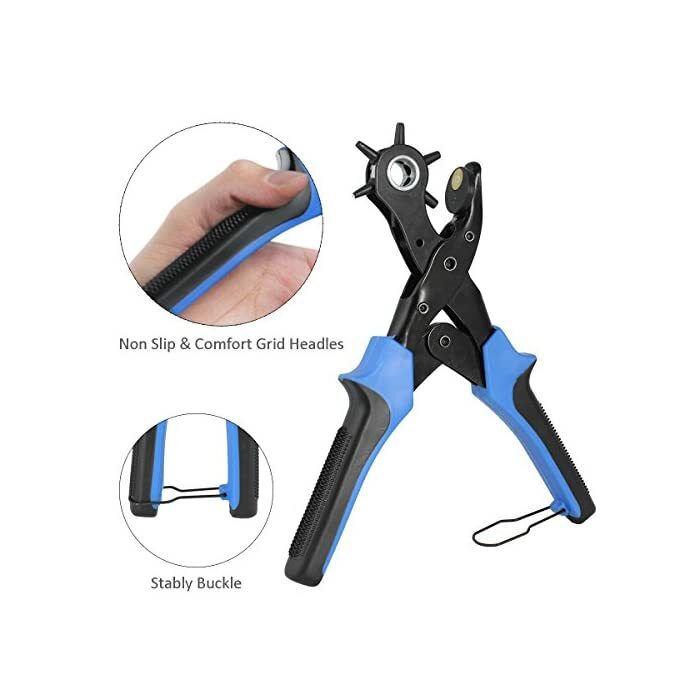 Diyife KA1UK (Full Set Leather Hole Punch, Belt, Heavy Duty Revolving Plier Tool with 2 Extra Plates and Ruler, Multi Sized Puncher for Crafts, Card, Rubber, etc, Blue | PHDsmart Ltd.
Multi-function – The punch plier has 6 different sized holes: 2mm, 2.5mm, 3mm, 3.5mm, 4mm and 4.5mm and is commonly used for punching round holes in leather, belts, plastic, rubber, canvas, fabric, cardboard, saddles, and similar materials; especially useful as a leather hole punch. 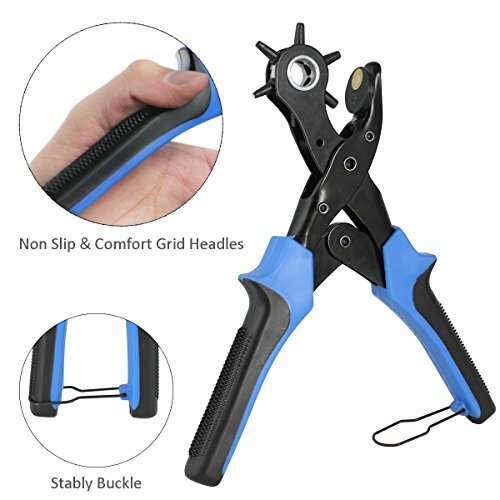 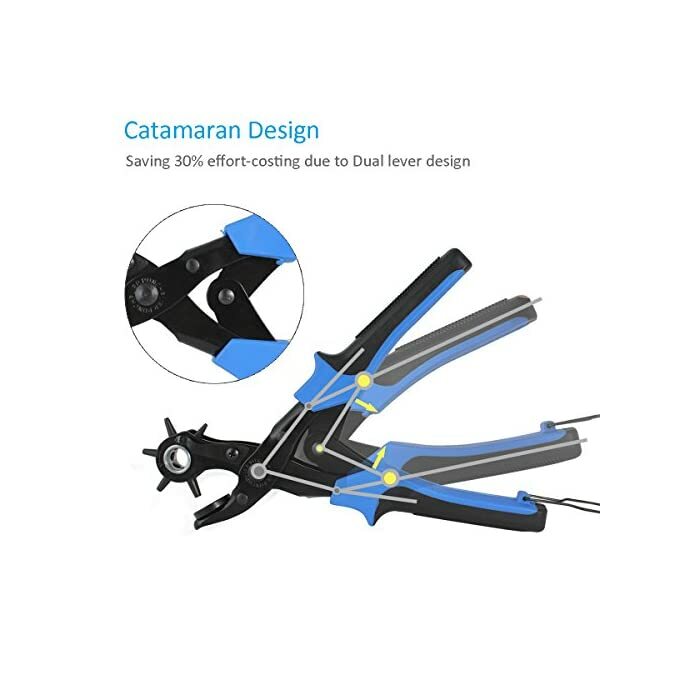 Ergonomics & Comfortable Design – The professional punch plier adopts double lever mechanism to greatly save your strength. 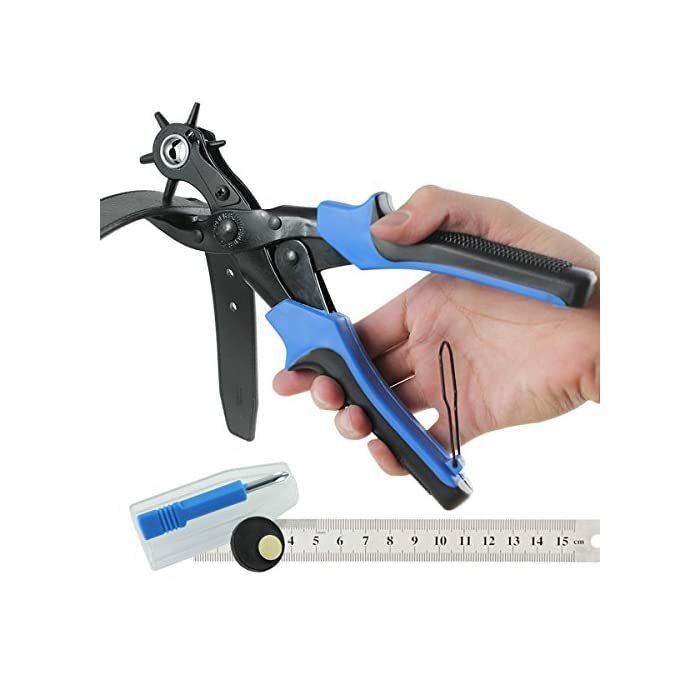 Ideal for long, repetitive work without causing sore hands or blisters because the handles are cushioned, non-slip and ergonomic. 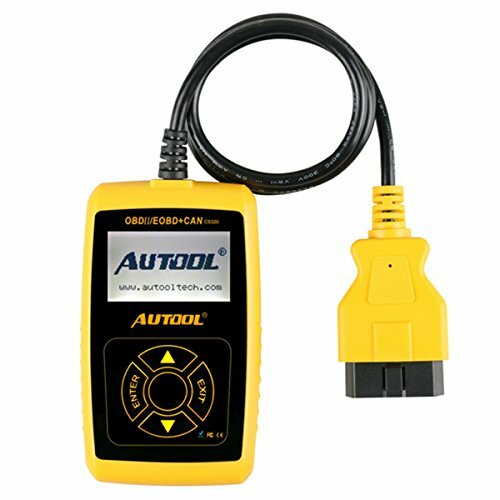 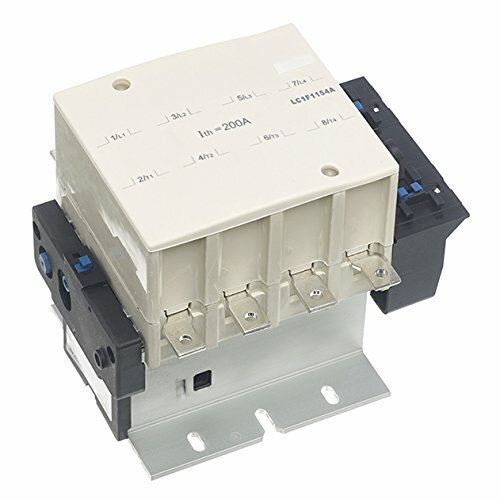 Powerful penetrability makes the work easier. High Quality and Safety – The durable punch pliers is made of plated steel that is high hardness, good toughness and durable. 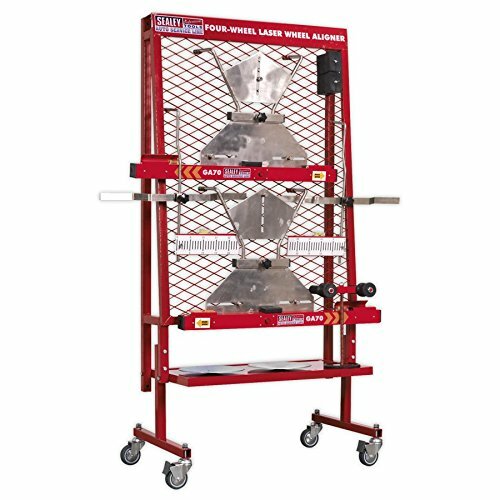 The surface of metal deal with spray lacquer process to avoid oxidation. 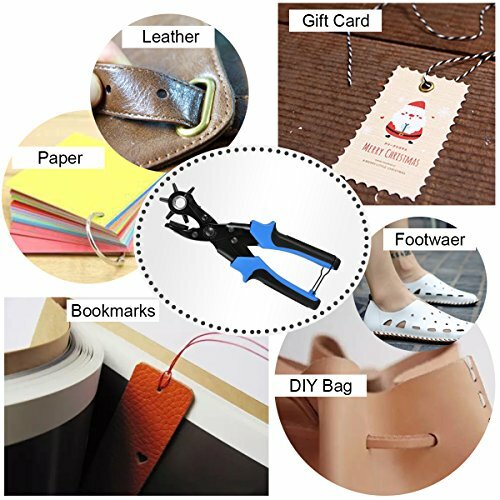 The brass pad adopts the thickness design to guarantee on safety. 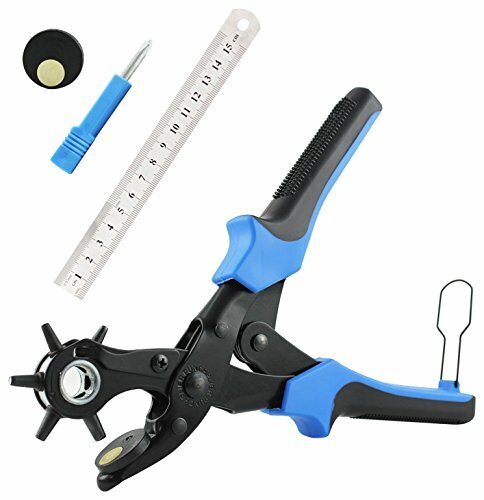 And in our kit, we add grinding rod on it for easy cleaning. 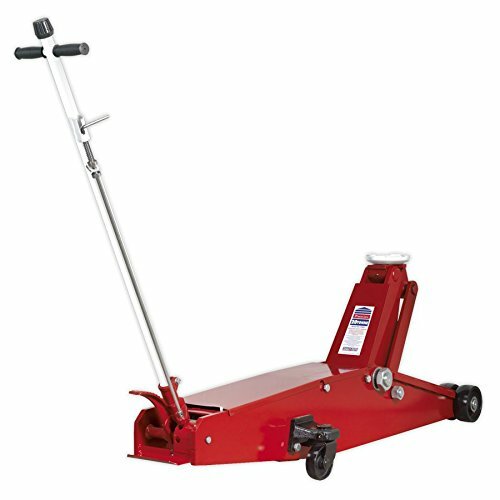 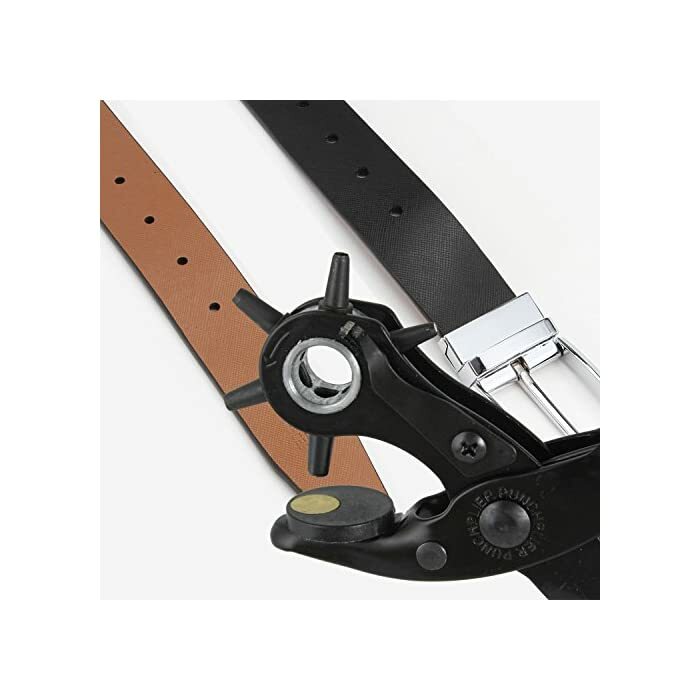 Diyife Professional Heavy-Duty Leather Hole Punch, designed to make light work of tough jobs. 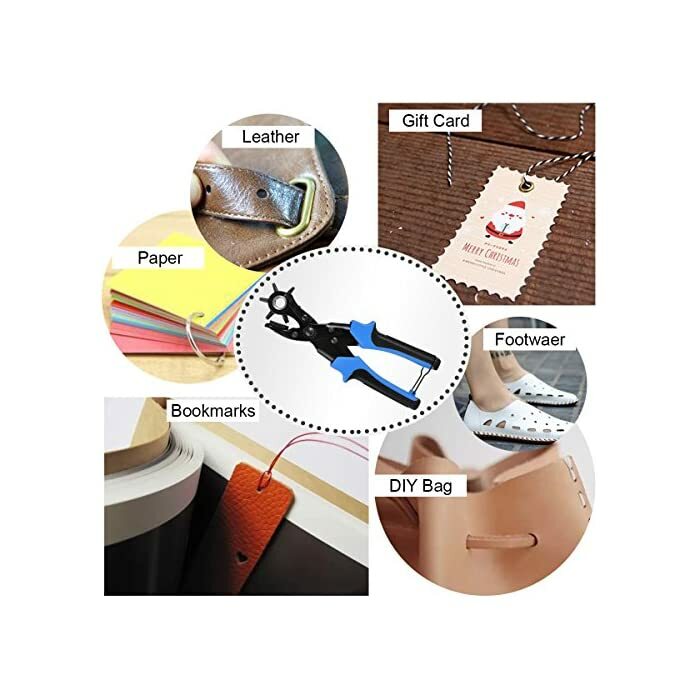 works on all types of materials such as leather, rubber, cotton, cards, fabric, paper etc.